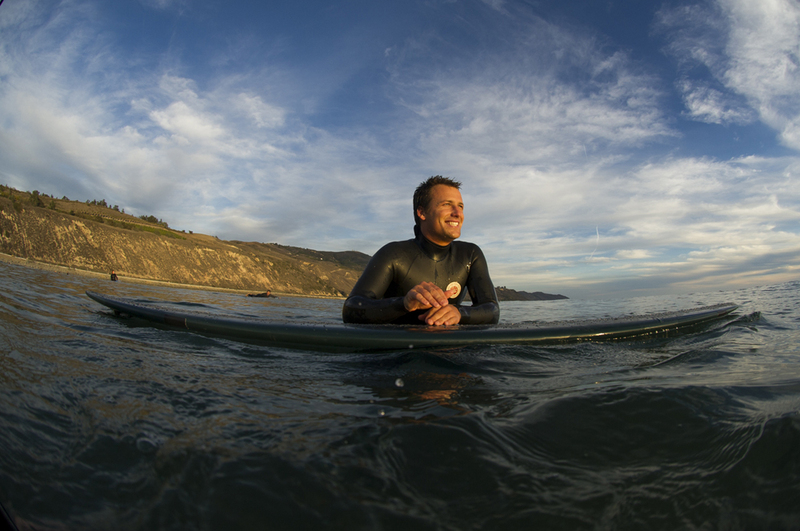 Troy Mothershead is a talented surfer (and digital commerce forecast analyzer) hailing from San Clemente and currently residing in Ventura, CA. Always enthusiastic and stoked, we spoke with Troy to learn more. I was kind of a little nutcase. Super aggressive, played all the team sports, loved football more than anything and even wrestled at one point. I occasionally surfed with my dad (and eventually mom) on weekends and trips to Mexico. I owe so much to my parents, they're legends. I have a sister who put up with a lot of my harassment, she figured out how to love me anyway, she's awesome. My extended family all lived super close, I grew up in San Clemente, they have been a huge part of my life. I miss childhood, it's a special time, you're super vulnerable, usually more willing and get so psyched on things. Pretty sure the first was an 8'2”-ish Infinity funboard from my Dad around 8 years old or so. I think the first board bought exclusively for me was a few years later, a 5'8" Garth Day shortboard with blue rails. I was really into it, mainly because I always thought it said "Green Day" (I was pretty into the album "Dookie"), haha. The nose broke off on a trip to Sayulita, Mexico, the only thing left for me to ride was a longboard, kind of wrote my destiny. What was the feeling you had when you first stood on a surfboard? I don't think I was capable of remembering the first time. There's a photo of me, and maybe even some video, on the front of my Dad's longboard wearing arm floaties at maybe 2 or 3 years old. But what I do know is, to this day, there is still nothing like it. Standing on a wave is insane in itself; add turning, noseriding, limitations or opportunity of board selection, the way a wave breaks, etc. – it's all pretty mind blowing. Definitely my father, and I think I did my best to look up to Jesus when I could understand what that meant. There were some other rad dudes who made a big impact – Boogie Rose, Phil Wood, and Cheyenne Maul. More surfing focused, my Uncle Gary Clisby was a pro in the ‘80s/’90s, I grabbed a lot of stoke from him. I had a bunch of rad friends who had a huge impact on my surfing, but Christian Wach, Kevin Osborne, Christian Clark, Justin Quintal, and Chase Stavron pushed me the most. I always loved Occy and Tom Curren, admired Joel Tudor's poise, but truthfully, was initially enamored by the surfing of Colin McPhilips. Of all the places you have traveled to, what place in particular stands out? And why? Sri Lanka – a non-deodorized dude wearing a woven button down and sarong steers you through bouncy dirt trails in a tuctuc. Boards jerry rigged to the roof, passing elephants, ostrich, and peacocks you'd reckon you were on the tram ride at the wild animal park. Before you care for the ride to end, you're on the beach melting in the sun over the perfect offshore peeling point break you just whipped into. Folks taking a risk to do what they love, for people they love. Love God, love others. Jesus is down to hang out on the beach by the fire and eat some fish with us. Do you have any regrets or wish you had done something differently? I know that the hectic things in our lives, the things that we may regret or wish we had done differently are often the most radical times of growth. I try to steer away from regret, I'd just like to always make an effort to ask for forgiveness when I've bummed someone out, and forgive the folks who've bummed me out. Forgiveness and trust are tough, but relationships rock when they exist. 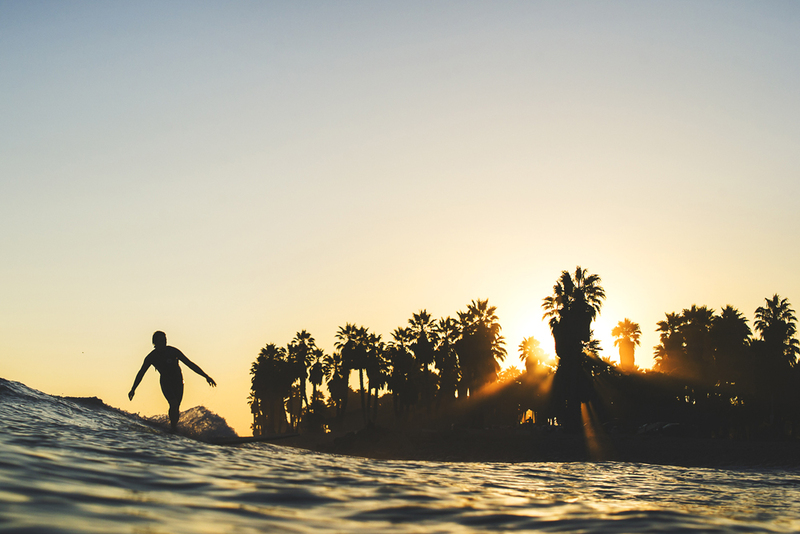 What meaning does surfing hold for you? Surfing is FUN. The times when you paddle out next to two of your friends, smiles on, sweet little waves cruising through, hootin’ and hollerin’ for everyone’s waves, it’s the best – super challenging, always changing, cool community, rich culture, interesting history, always FUN! Community: hanging out with good people – nice, warm, stoked, loving people… that’s happiness. What is your favorite board? Your favorite surfspot? I met some rad folks over the last few years and they were stoked enough to help stock my garage with surfboards I never thought I'd be riding. It's hard to choose a favorite, let alone a board to ride for the day. So I can't choose. Lately I've really enjoyed a 5'8" single winged, squash-tail, thruster Ryan Lovelace shaped; and I can't ever get enough of the 9'8" hipped, lengthy concave, log Mason Dyer made a few years back. 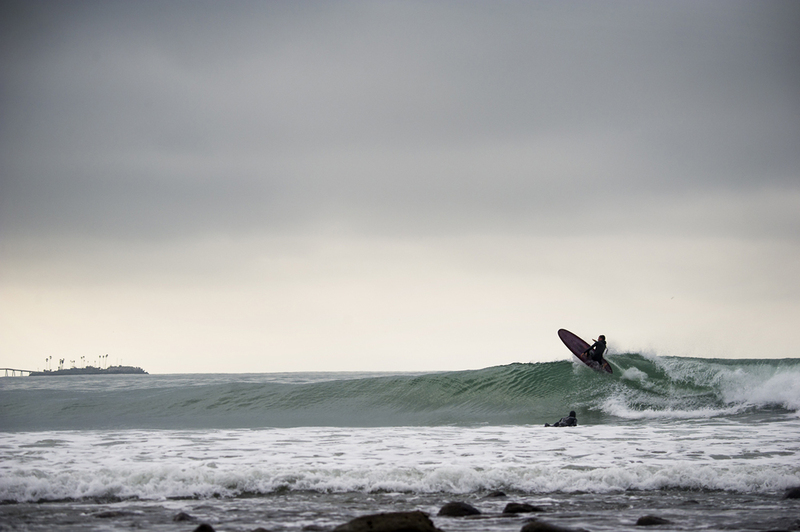 I think Lower Trestles might be my favorite surf spot. 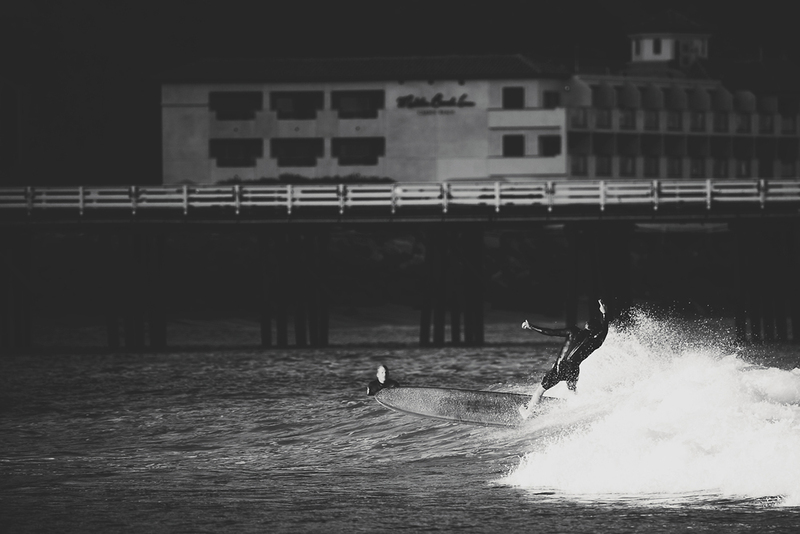 Lowers has taught me a lot about surfing. Filet mignon wrapped w/ bacon, scalloped potatoes, a fresh green salad, and some tasty bread. Future Islands, Grizzly Bear, Mavis Staples, Delta Spirit, the National, Gregory Alan Isakov, the Black Keys, and lots more. Growing up in the USA, in California, on the coast, surfing, great family, great friends, a God who loves us. What’s next for Troy Mothershead? Well, I work in Ventura at Patagonia with the title "Digital Commerce Forecast Analyst" and I really like it, so I'll probably be here for a while. The waves are fun up here! I haven't been able to travel as much as in the past, but my hope is to get one big surf trip and few small ones in a year. Joel Tudor super graciously invited me to the next Duct Tape event at the US Open, Aug 1 & 2, so I'll be surfing in that – still can't really believe I was invited, so stoked! Otherwise, excited to see what comes in the future, I love surfing and there are some rad folks in my life who also love surfing, so I’m stoked to keep surfing as long as I live!